A family of debug and trace tools for ARM - which support multicore debug and also program flow trace analysis with options to prove code coverage for specifications such as DO178C or ISO26262. The cost-effective Freescale i.MX51 evaluation kit enables customers to develop, debug and demonstrate product without compromising performance. Tool and documentation for downloading OS images to the i.MX53, i.MX51, i.MX50, i.MX28 and i.MX23. The XStrace Profiler provides a graphical env for system analysis of Linux-based systems. Typical analysis scenarios include debug problems occurring during system integration, find latency issues, analyze interrupt load, find priority issues, etc. Develop with industry proven tools for C/C++ embedded applications, including compilers and run-time libraries, source- and assembly-level debugger, integrated development environment (IDE). Supports bare metal, Linux, Nucleus, other OS's. Momentics Tool Suite is an Eclipse-based integrated development environment with innovative profiling tools for maximum insight into system behavior. Multi-core specific tools help developers migrate code cleanly from single to multi-core systems. Free command-line edition of the popular Sourcery CodeBench development tools. Available for NXP ARM and Power Architectures for bare metal bring-up, code debug in cache, ROM, RAM, Flash. Available now for free download. VLAB is an integrated virtual platform solution for ESL / SystemC modeling and execution. It delivers benefits across the spectrum: from IP, to SoCs, to systems, to embedded software. A code generator that converts GUI model (built in Altia Design) into pure, production-ready C code. Each Altia DeepScreen target is carefully architected to take full advantage of the resources available on-chip. EB GUIDE is a powerful tool chain for intelligent multimodal HMI product development, from modeling and specification, rapid prototyping and simulation to target deployment. A full-featured user interface design, simulation and model integration environment. With this GUI editor, users can build user interface models from scratch or import graphic assets created by artists, test, and then prepare for code generation. A Photoshop add-on that automatically transforms your artist's graphics into interactive, user-driven prototypes. Simply arrange and name your Photoshop graphics layers for buttons, screens and other user interface objects. Embedded application development for Linux, WinCE, Android and QNX, using technologies such as Qt or Java. Specific expertise on graphical design & implementation, wireless, & cloud connectivity, audio & video streaming. Aviage Multimedia Suite is a fully customizable, full-featured framework for quickly building high-value digital infotainment solutions that range from simple media players to multiple-node systems with intra-vehicle multimedia sharing. The EC-Master is designed and optimized to run on different embedded (real time) operating systems. Already exisiting implementations are available for Windows CE, VxWorks, QNX, Integrity, Linux. It can be ported on other embedded OS. Enea LINX is a high performance, transparent interprocess communications (IPC) service that simplifies communications across processors and within cores. LINX scales from DSPs to 64-bit CPUs for use within complex distributed systems. Storyboard Browser is a Webkit-based extension for Storyboard Suite that enables HTML5 content to be rendered directly within a Storyboard application. Crank Storyboard Embedded Engine is the runtime component of Storyboard that drives the content developed in Storyboard Designer on embedded devices. Wind River® Linux is the leader for building outstanding open source embedded products, ensuring customers work with the latest code from the most important open source efforts and most recent technologies. Windows CE 6.0 and Windows Embedded Compact 7 reference BSPs for NXP i.MX2x/3x/5x architecture. BSPs developed in collaboration with NXP and available for free on NXP website. Dedicated support available from Adeneo Embedded. A custom commercial Linux for embedded development leveraging the latest open source software, Yocto BSPs. Integrates with Sourcery CodeBench and Sourcery Analyzer for complex and multicore systems. GENIVI compliant for IVI platforms. QNX Neutrino RTOS is a full-featured, robust OS that scales to meet the constrained resource requirements of realtime embedded systems. True microkernel design and modular architecture enable customers to create highly optimized, reliable systems. Nucleus has been deployed in over 3 billion devices since 1993 making the code base extremely stable. Nucleus is the only RTOS that offers a Power Management Framework to compliment hardware power modes to conserve power usage in the device. ConnectCore Wi-Fi.MX51 is a highly integrated System-on-Module solution based on the 800MHz i.MX51 application processor. The module includes RAM, Flash and Ethernet and 802.11n wireles. Linux, Android, Windows CE Kits available. Universal platform based on the i.MX51, ARM Cortex-A8, 800 MHz processor. 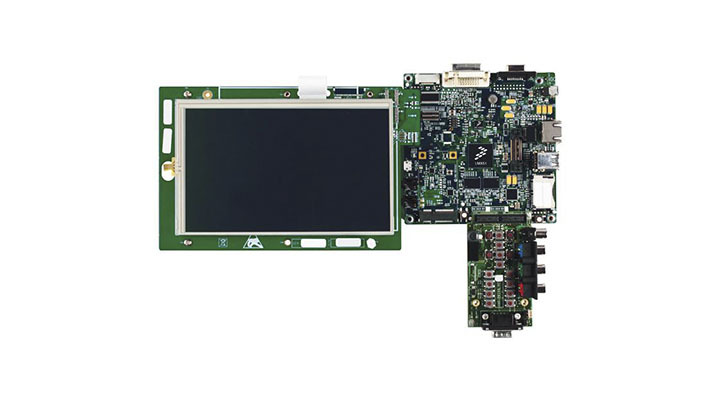 Platform includes a compact sized Evaluation Board ready for demonstration with supporting Board Support Package and Hardware design documents. Micron manufactures a wide range of managed NAND products such as the embedded Multi Media Card (eMMC) and the embedded USB (eUSB). Densities range from a few gigabytes to nearly 100 gigabytes. High performance standard DRAM (DDR, DDR2, DDR3 and DDR4) components. We build our modules from start to finish—designing, manufacturing, and testing all of the DRAM ourselves before assembling the modules and testing again. So, from high-performance SODIMMs to high-density LRDIMMs, you can depend on Micron. The NOVSOM®iMX6 provides you access to all the i.MX6 features and the modules provide you a quick way to design i.MX6 solutions. Design a four to six layer base board with your required peripherals and the B2B connectors to support the NOVSOM®iMX6.